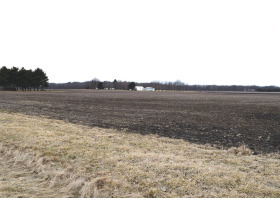 23+/- Acres with 38,848 sq ft improvements in Homer, IL | Curran Miller Auction/Realty, Inc. 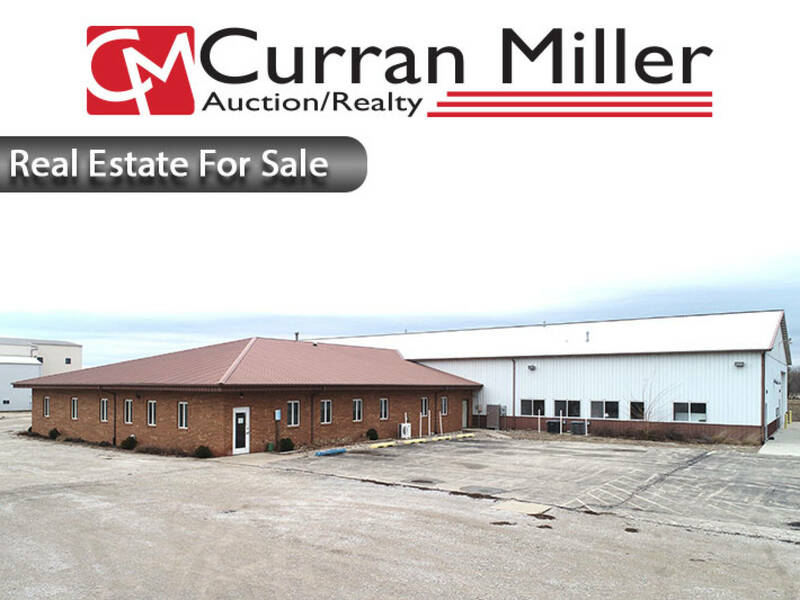 Situated on 23.01 +/- Acres this well maintained commercial real estate features 16.2 +/- tillable acres and 38,848 sq ft of office, shop, and storage buildings. 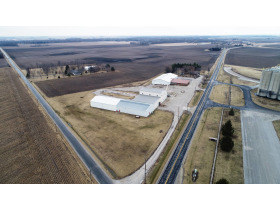 Situated on 23.01 +/- Acres this commercial real estate features 16.2 +/- tillable acres and 38,848 sq ft of office, shop, and storage buildings. The 4,680 sq ft office consists of a large reception area, 11 large office suites, a large co-work space, restrooms, and break room. 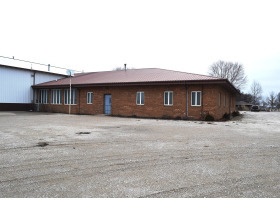 The 80’x160’ attached shop, lab, and working space totals 12,800 sq ft. previously used as a pathology lab and seed handling area this building is suitable for many purposes as it is or could be opened back up for full building use. Current features are a large conference room, two separate work spaces, a large heated shop, tornado shelter, and lab space. This combination of buildings offers 21,368 total sq ft of multi-use space, including some heated and cooled work areas. 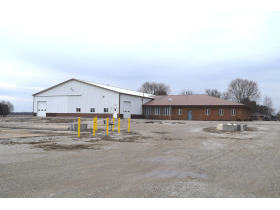 Building #2 consists of a 60’x98’ insulated pole framed equipment storage building with 17’6” ceiling height, metal interior walls/ceiling, & 2 Arco HVAC systems (North & South ends.) 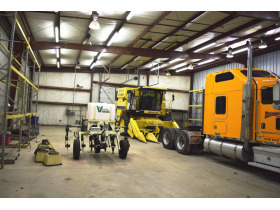 Building #3 consists of a 60’x104’ insulated pole framed material handling space with 17’6” ceiling height. 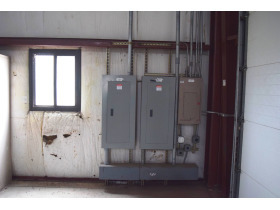 The building is comprised of 2 separate work and storage areas.  The north area offers 3 overhead doors and radiant overhead heaters. 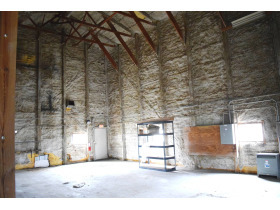 The South end of the building (60’x56’) was previously used as cold material storage space with an HVAC system that can maintain a constant 50 degrees and 50% humidity. 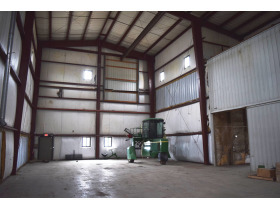 Building #4 consists of a 60’x80’ insulated steel frame constructed building with 21’ average ceiling height, two 14’x14’ overhead doors, and a 8’x10’ overhead door leads to a 14’x21’ loading well providing easy loading of material via trucks. 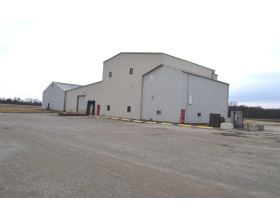 Building #5 consists of a 40’x80’ insulated steel frame constructed building with a 36’ wall height. 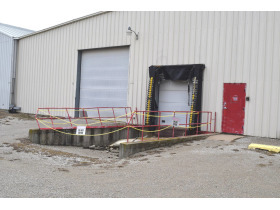 Building #6 consists of a 26’x48’ insulated pole framed small equipment storage building with a 25’ wall height.